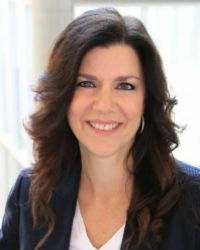 Jennifer McClure currently serves as a Talent Strategy Advisor at Centennial. Jennifer is a trusted resource of our organization as well as leadership and companies across the world. She provides services to clients in the areas of attracting, recruiting, developing & engaging key talent in their organizations. She also is President of Unbridled Talent, LLC a speaking, training and consulting company providing services to clients in the areas of recruiting/social recruiting, employment branding and leadership/career development. She is also a popular speaker who is regularly engaged to present at conferences, associations and to HR, recruiting and leadership teams at a variety of organizations – including Fortune 100 clients. Prior to launching Unbridled Talent, Jennifer worked as a Human Resources executive in privately held and Fortune 500 companies and as an Executive Recruiter and Executive Coach partnering with C-level leaders to find, attract, recruit and develop key leadership talent. A regular user of a variety of social networks and social media to share, learn and understand best practices, Jennifer was recently listed on both the Top 25 Influential Online Recruiters and Top 25 HR Digital Influencers lists compiled by HRExaminer and her Unbridled Talent blog has been named a Top 10 Business & HR Blog Worth Reading by the Society for Human Resource Management and a Top 10 Employment Blogger to Follow by Monster.com. She also writes frequently about a variety of recruiting and talent management topics for Talent Management Magazine and other industry leading publications such as Monster Thinking, Voice of HR and Fistful of Talent. An avid networker and community volunteer, Jennifer serves on Advisory Boards for the Cincinnati State Institute for Social Media, SmartBrief on Workforce and Mercy Professional Services. She is the Founder of LinkedCincinnati – a Cincinnati-based professional networking group with over 20,000 members and the Co-Founder of the Greater Cincinnati HR & Recruiting Leadership Network for senior level HR and Recruiting professionals. She’s an active member of the Society for Human Resource Management and the Greater Cincinnati Human Resources Association and serves as a volunteer on GCHRA’s Strategic Planning Team and the Communications Committee. Business Development and Talent Strategist | Centennial, Inc.